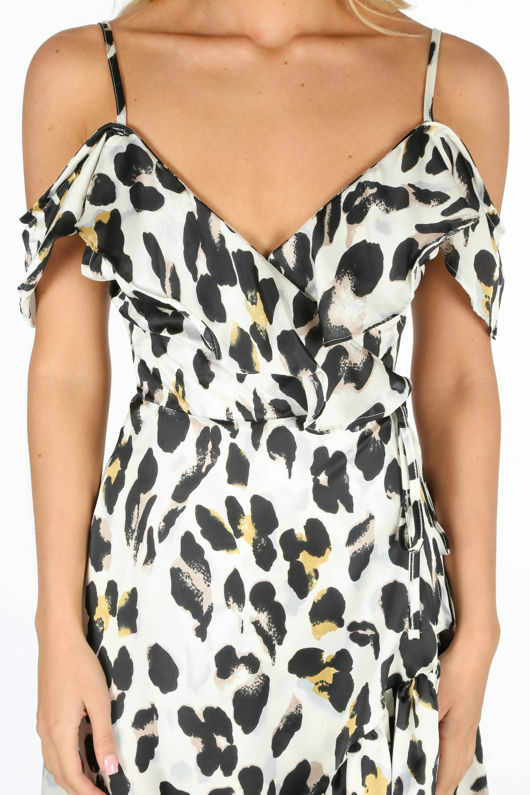 Animal print is taking over, make sure you don't miss out on the Cream Leopard Print Wrap Midi Dress. 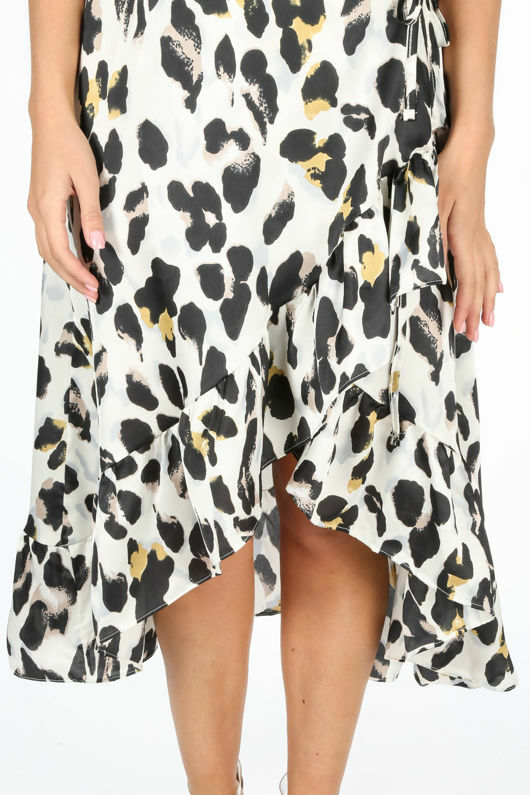 This off the shoulder style has cami straps, a wrap front and frilled detail edges which gives it a floaty, feminine look. Wear it on date night with some chunky gold hoop earrings and metallic strappy heels. Add one of our super faux fur jackets to keep you warm when it gets colder.